Just 5 days before the Galaxy S5 hits the shelves which is expected to be in 150 countries concurrently, Samsung today announced the Dual-SIM Galaxy S5 for China. China is a market that can afford to have their own custom device without needing for market scale of the same sue to the huge market it is. 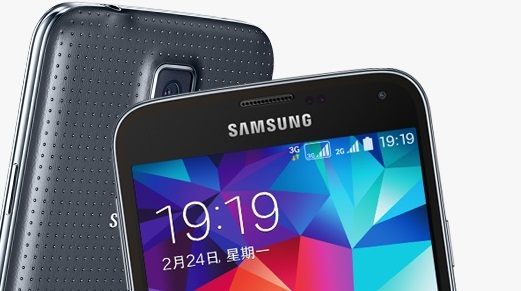 Now this Galaxy S5 is Dual SIM with one SIM card carrying support for CDMA2000 standard that is quite popular in China while the other SIM slot supports GSM cards. The device isn’t going to land to other markets and this is a custom Telecom project according to Samsung China page where it’s up for pre-order. The device takes the same specs with the global version outside of Dual-SIM support. Here in Kenya, the Galaxy S5 launches this week for the whole of East Africa region with availability of the device said to be starting from the 14th of April for some vendors. Various vendors have arranged for pre-orders with different product offerings.